There aren't a whole lot of places for teens to gain valuable workplace experience prior to reaching working age. That's where the Counselor-in-Training Program comes in! Counselors-In-Training (CIT’s) at The Watersports Camp will have the opportunity to learn in a volunteer capacity responsibility, teamwork, and the satisfaction of a days work while assisting counselors in camp operations. Specific duties include observing on wakeboard boats, giving sailing rides, assisting younger campers, and helping counselors to manage their groups. The hard work of CIT’s is a crucial part of the operations of camp, and the experience is great to add on any job or school application. Additionally, many CIT's use their time at The Watersports Camp to satisfy their school volunteer requirements. You must have attended The Watersports Camp in the past. You must be 14 or older by your weeks of service. You must attend a 1-day training in spring. You must know or learn how to sail. Sailing training is included in the CIT training fee, however, if you need to learn to sail you must be able to work the sailing trainings into your schedule. Dates can be selected during registration. CIT Registration opens on March 23 and spots fill up quick! (The priority registration for returning CIT's opens March 22). 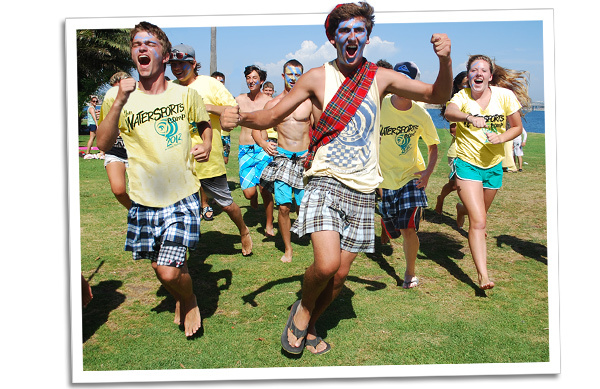 We are looking forward to another great summer of The Watersports Camp and we want you to be a part of it!